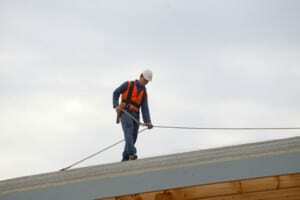 The best commercial roofers in Denver are the ones with the most experience in commercial roofing. Make sure the work they did and the references they have are specifically targeting commercial projects, such as EPDM roofing installations and the repair of PVC membrane roofing products. Get as many quotes as possible. Before deciding on the best company to go with, it’s a good idea to have as many options as possible to choose from. You’ll find only some of them will be within your budget, so filter through them, and then start sorting through the remaining companies until you find the best one. Keep track of factors such as reputation, long term track record, commercial roofing product specialization, labor costs and insurance related concerns. If the company can answer all your questions regarding these matters in a satisfactory manner, then you’ll be all set to hire them for your next big commercial roofing project.